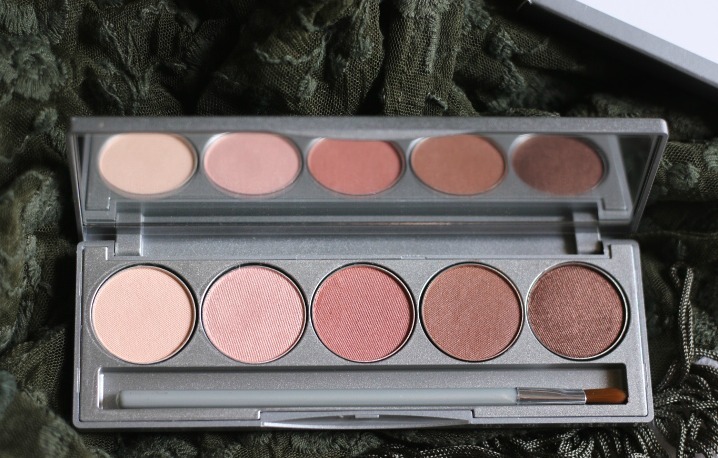 A Palette that claim to feature shades which can be used as a bronzer, a highlighter, a concealer, and an eye shadow. 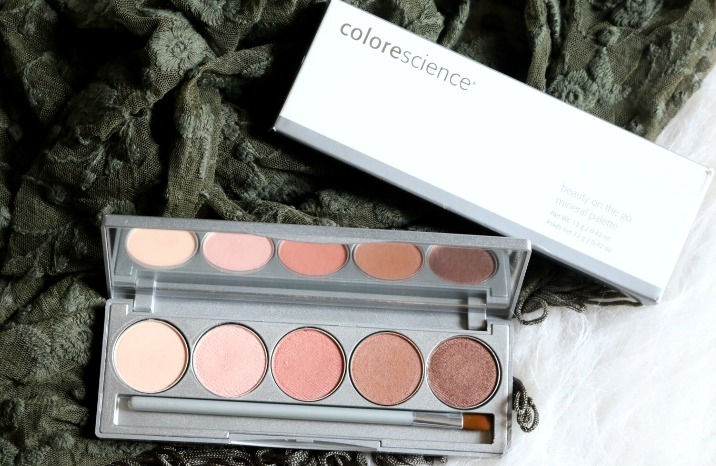 Colorescience Beauty On The Go Mineral Palette comes with five beautiful colors, making it as fun to use as it is versatile. You can take this product anywhere you need to go, from routine activities, like work and school, to special events, such as holiday parties and date nights. 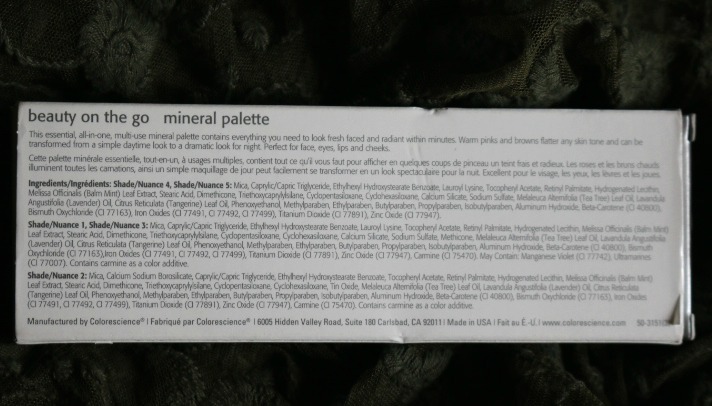 Once you’ve started using this palette, you’ll appreciate its convenience and possibilities – Enough of claims, Let’s now see if this really lived upto its claim. 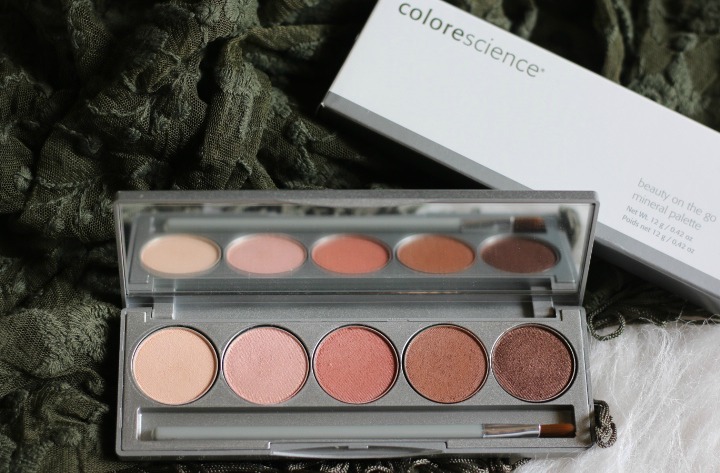 Create a gorgeous natural look with Colorescience Everyday Color Palette. Featuring five shades that flatter all skin tones; this collection of rosy pinks and warm browns enhances face, eyes, lips and cheeks with ease. Packaging – Comes in a compact mirrored palette with an inbuilt mirror and a eye brush. Its a versatile palette. 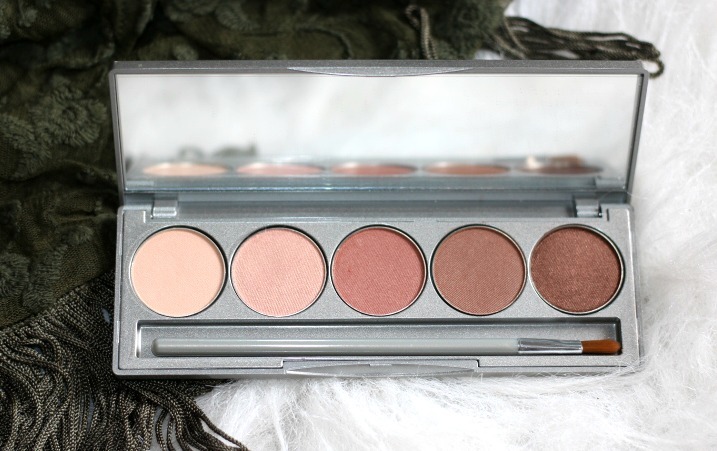 Palette is sturdy and is travel friendly. 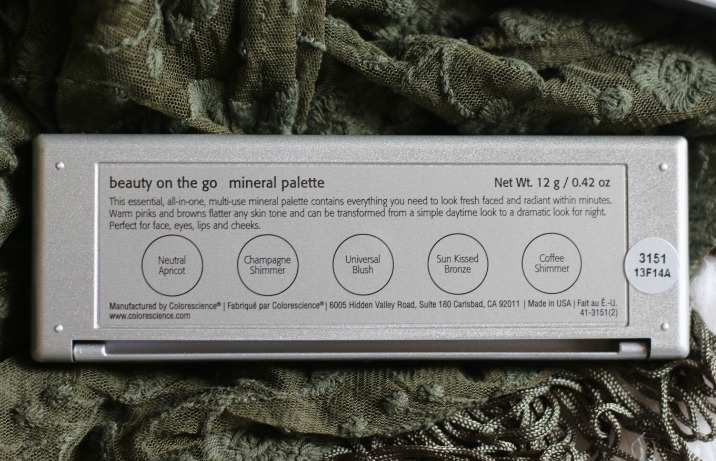 You’ll find tips for usage on the back of the palette. Shades, Formula, Pigmentation – The shades are very soft to touch. Almost velvety soft while applying. It blends nicely and there is no fallout. You may wet the brush before picking the shade and this gives a more intense application. The best part is darker shades can be blended and smudged across the lash line to give a really bold eyeliner look as well. I found the lighter shade ‘Neutral Apricot’ little grey-ish for my liking. However the darker colors pair well with each other. The formula is medium pigmented. 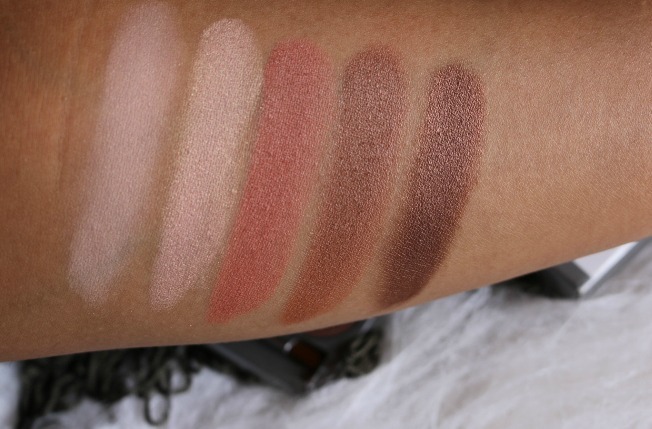 Longevity – I really love the lasting power of last 2 darker shades in this palette. However, the lighter shades fade off quickly. 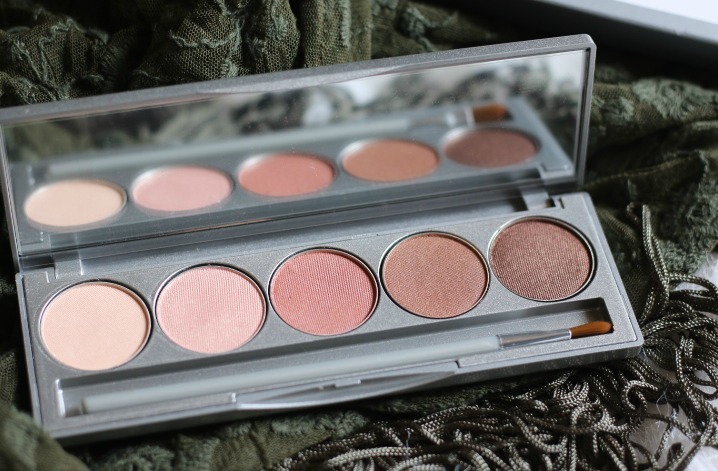 Neutral Apricot– can be used as a concelaer to cover up any light marks on the face or eye area. 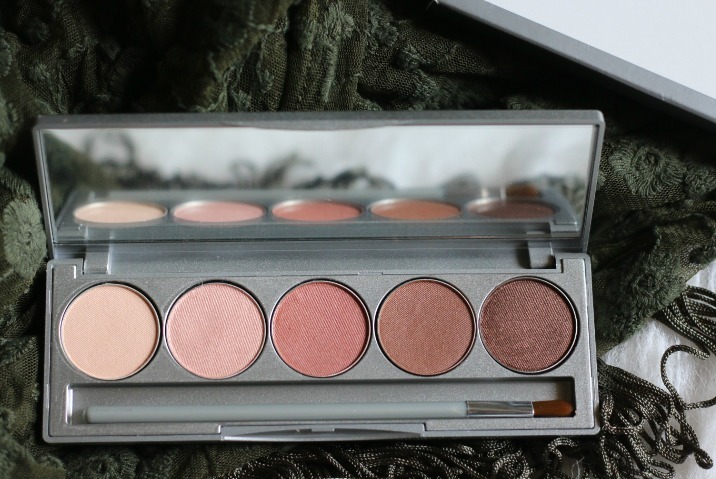 it can be also used as a all over lid color before you start to apply eye shadows. For medium- dark skintones like mine- it’s of no use. I think it works best for the fair skintones. 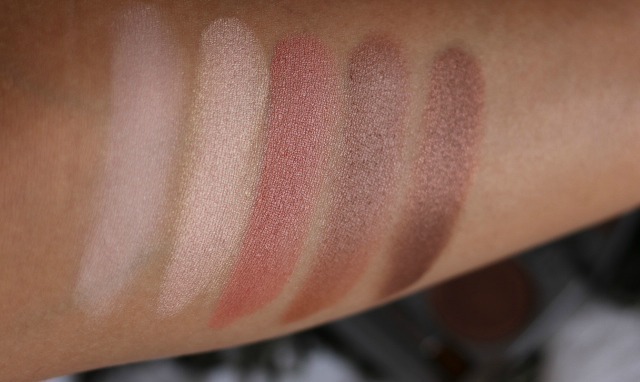 Universal Blush – is a good blush color. It fades off quickly. But, It looks pretty on all skintones. Champagne Shimmer – Too light for my liking. I think it works for fair skintones. Sun Kissed Bronze, Coffee Shimmer – My favorite shades. Two beautiful bronzey brown shades. The only reason why I use this palette is for these two shades. They look really pretty on its own as a lid color or to be used for upper and lower lashline for a bold liner effect. I found them softer and easier to blend than other shades. Overall, This palette didn’t live upto it’s hype in my opinion. Considering the price of $54.00, I expected more quality from them. 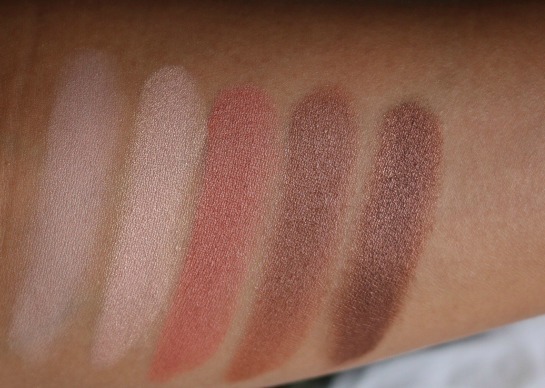 I would rather spend on another palette with more shades than buying this palette with only 2 shades good enough to justify its price. The darker shades – ‘Coffee Shimmer’ & ‘Sun Kissed Bronze’ is pretty though it’s is easily dupable and not worth $54.00 to use only these two shades. 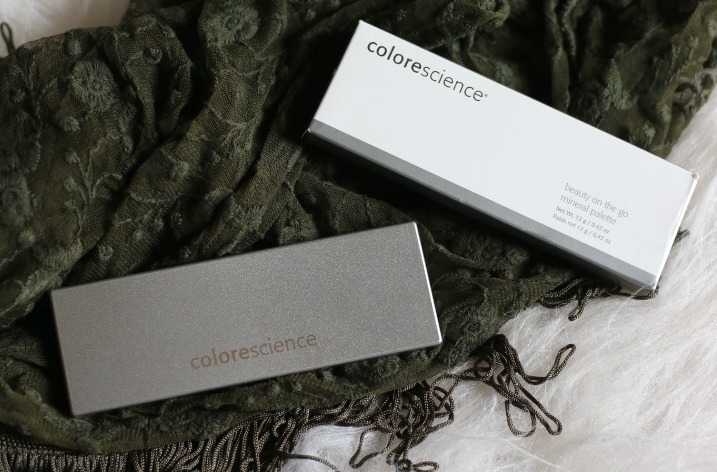 Have you used any of the Colorescience makeup ? ** Product sent by brand PR. However, my review is honest and unbiased as always.